Infuse your love to your guests with our heart shaped Tea Infuser. 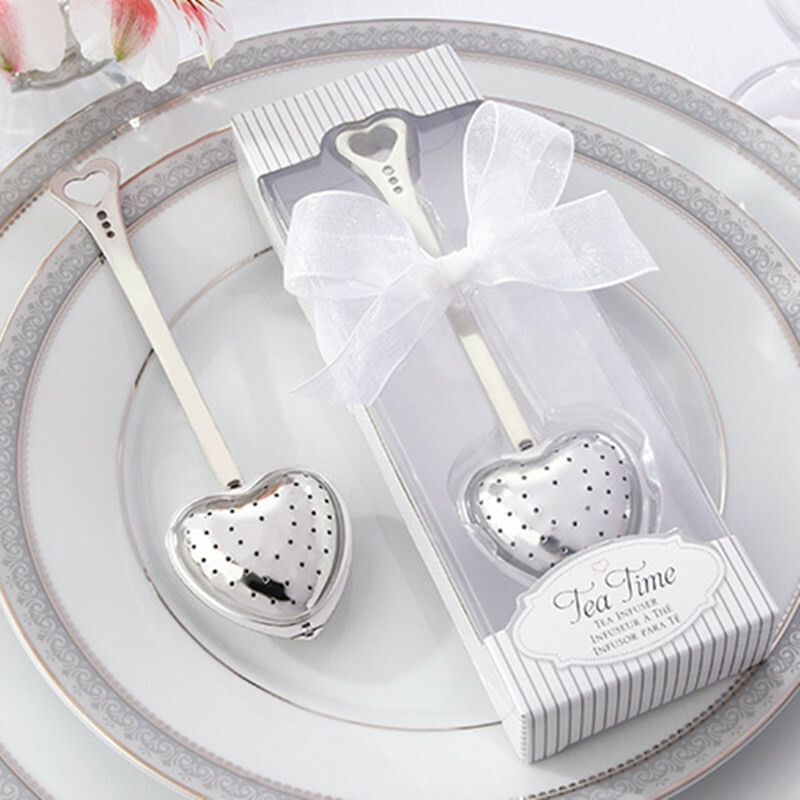 This finely polished stainless steel heart infuser makes an elegant favor for showers, weddings, and anniversaries, presented in a lovely gift box with a clear top decorated with a lustrous ribbon and a thank you tag, your guests will feel highly esteemed and valued. Make a perfect blend of happiness and love with our tarnish-free heart tea infuser.